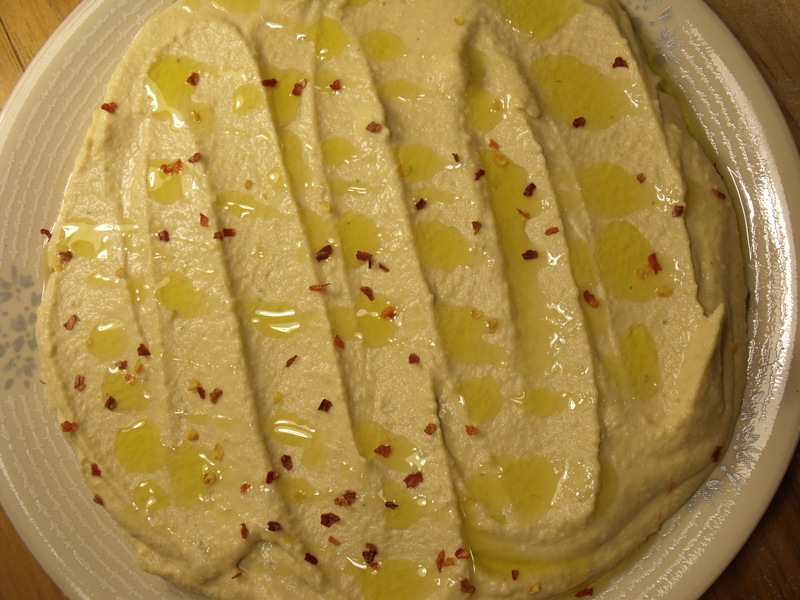 Hummus is a phenomenally tasty dip/sandwich spread that has been growing in popularity as of late. Unfortunately, a little tub of the stuff from the grocery store can run you about 4 bucks. Thankfully, it is much cheaper to make your own. When I first started making it at home, however, it did take a couple tries to get the hang of seasoning it in the way we like it. But now, when I have the store bought kind, it pales in comparison to fresh made! Oh, and if the price of the Tahini paste is a little much, try looking for it at an ethnic food store. I found a really good deal on a big jar of Tahini at a local grocery store that sells ethnic and health food. And if that doesn’t work, remember you don’t need too much in the recipe, so it will last you a while. 1. Blend all ingredients together in a blender or food processor until smooth. 2. Transfer hummus into a serving bowl or storage container. Cover and refrigerate for at least half an hour prior to serving. This allows the flavors to blend together. The flavor of the hummus after refrigerating will be stronger than it first tastes so don’t go crazy adding extra garlic or spices before regrigerating! However, it is a very versatile recipe and can be played around with a lot. I like to garnish with some more olive oil and red pepper flakes. This recipe is great for dipping and spreading on sandwiches/wraps. It tastes really good in a veggie and cheese filled toasted pita pocket. Yum! Thanks Tammy for another great recipe! No, I haven’t. Sounds interesting. I am still developing my taste for sweet potatoes though, grew up never liking them. I have had white bean hummus before though and it is fantastic! It was at a restaurant, but I found a recipe online and have yet to try it – need to! Let me know if you ever try the sweet potato hummus though!